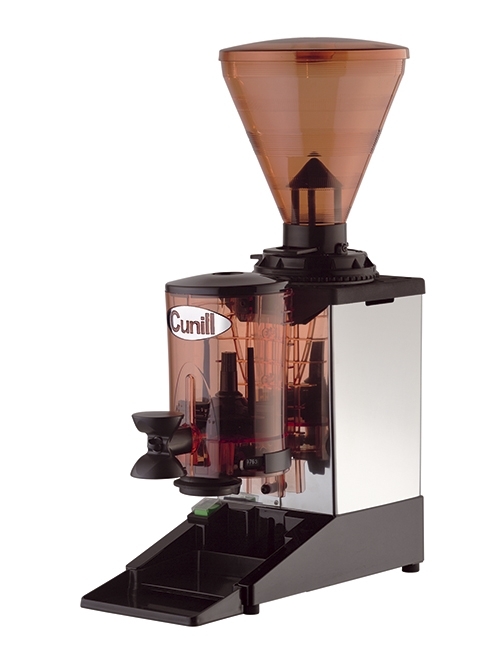 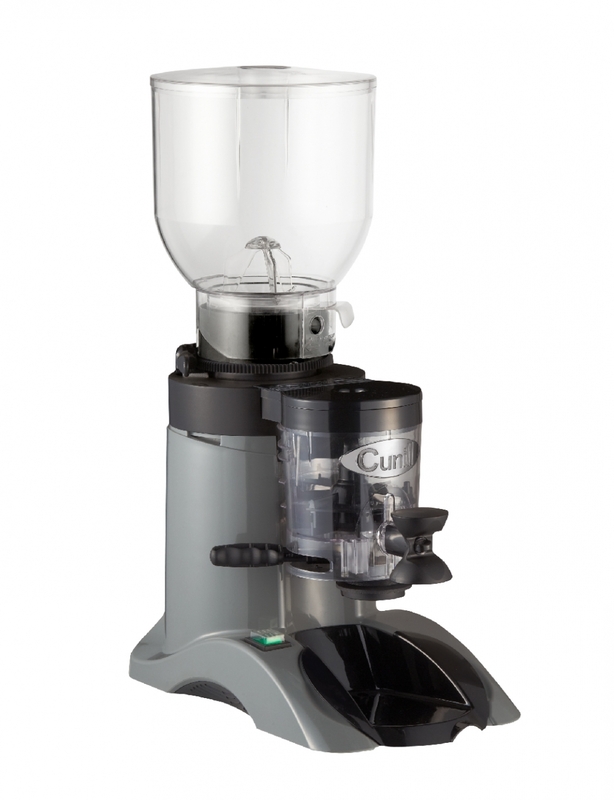 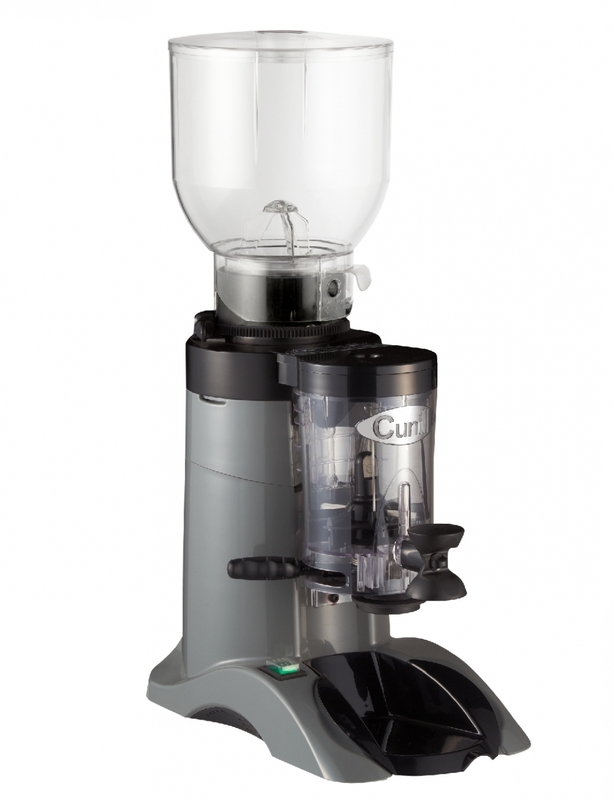 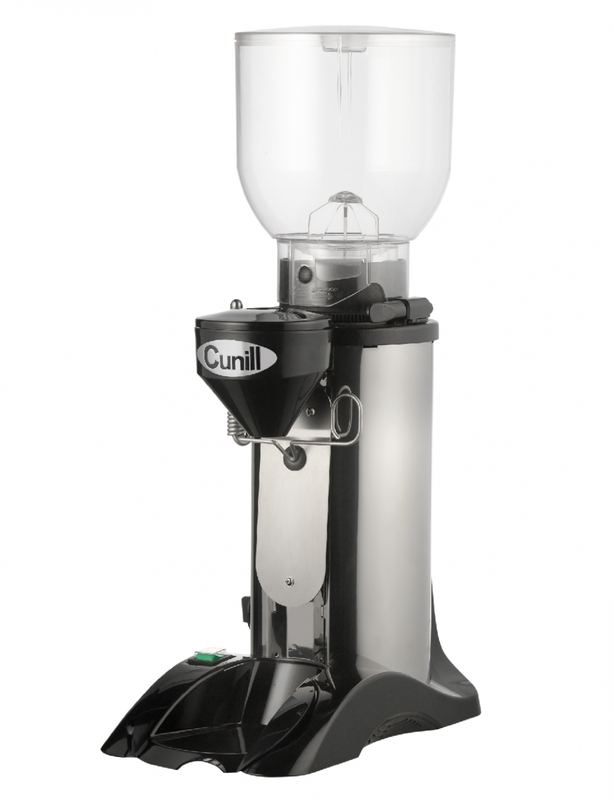 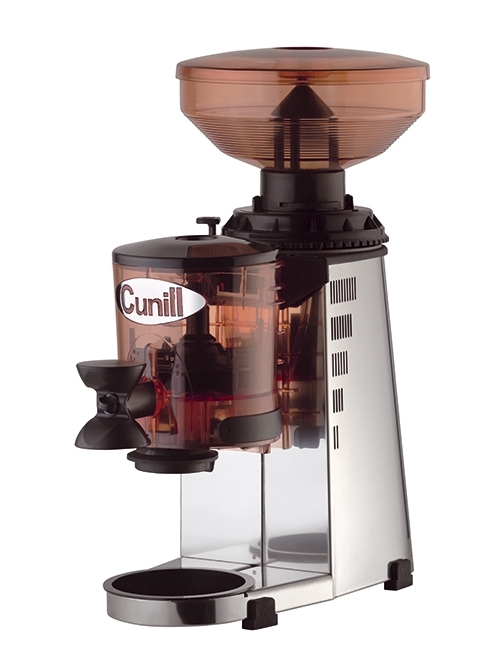 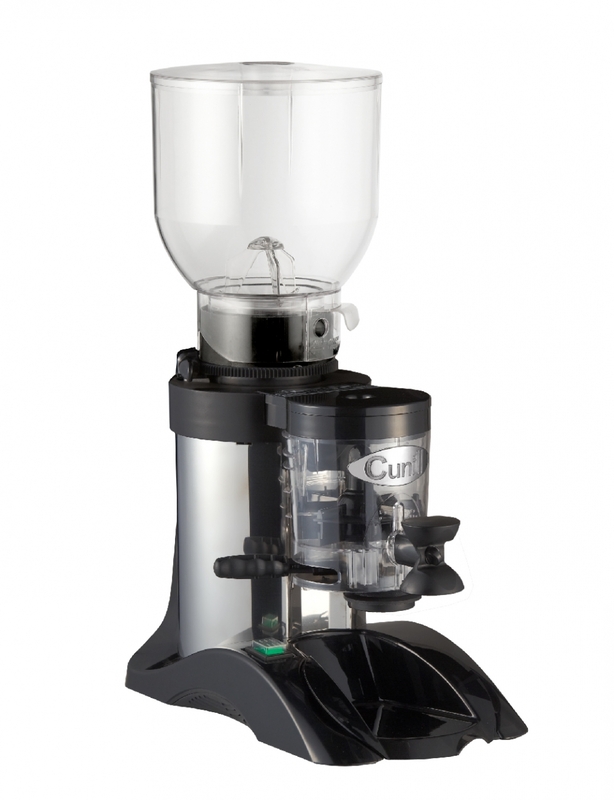 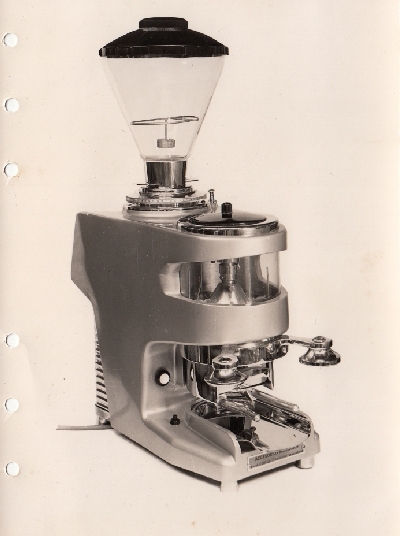 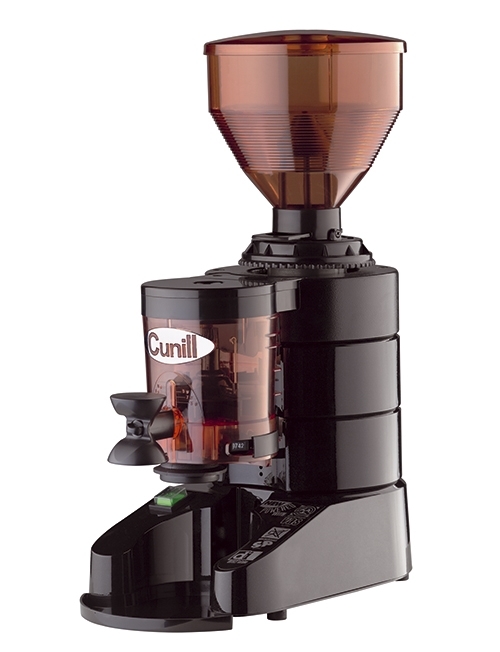 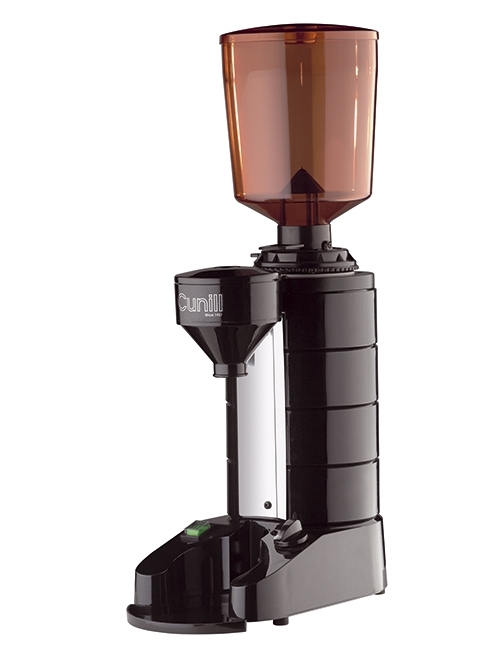 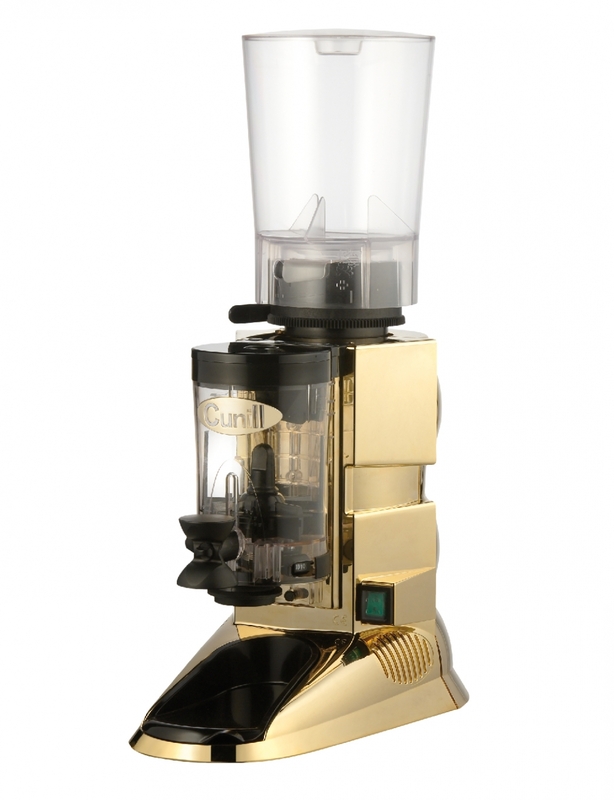 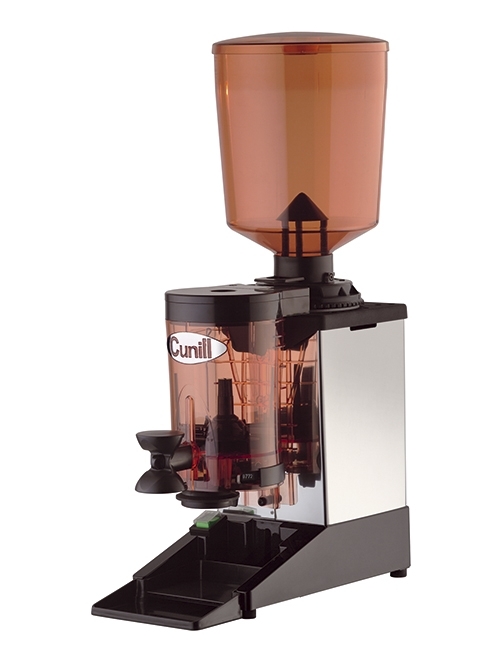 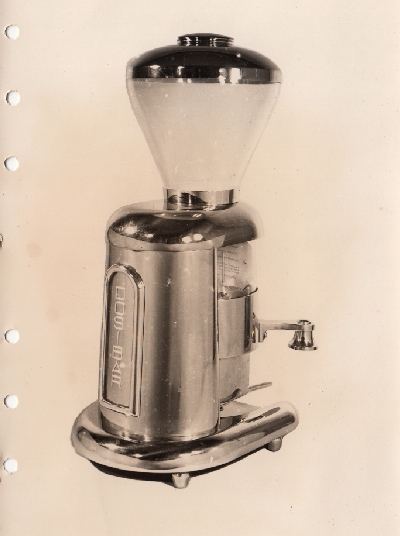 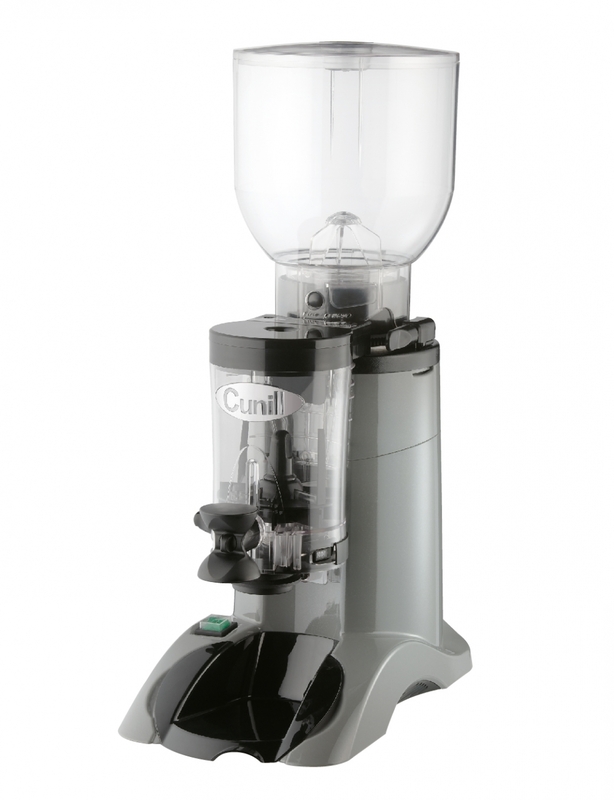 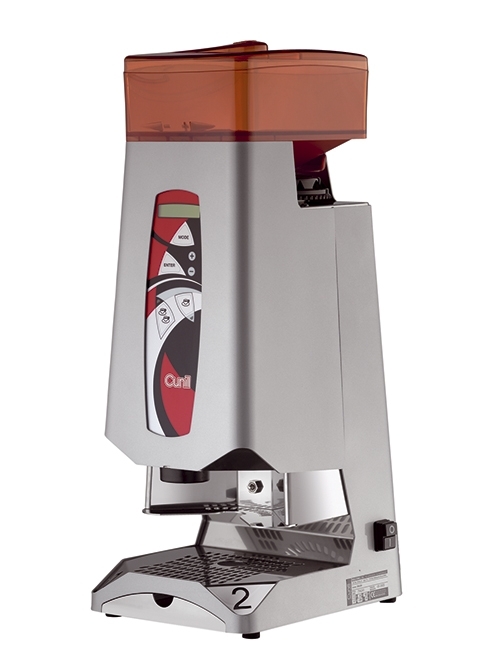 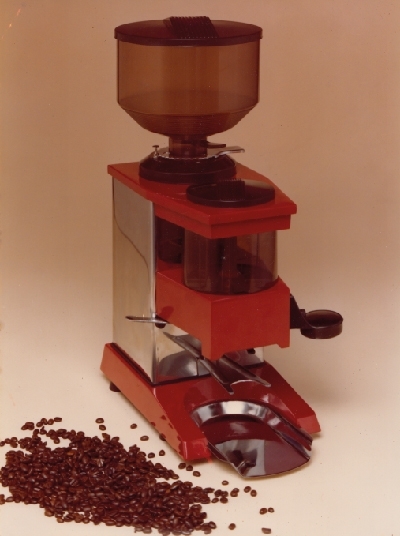 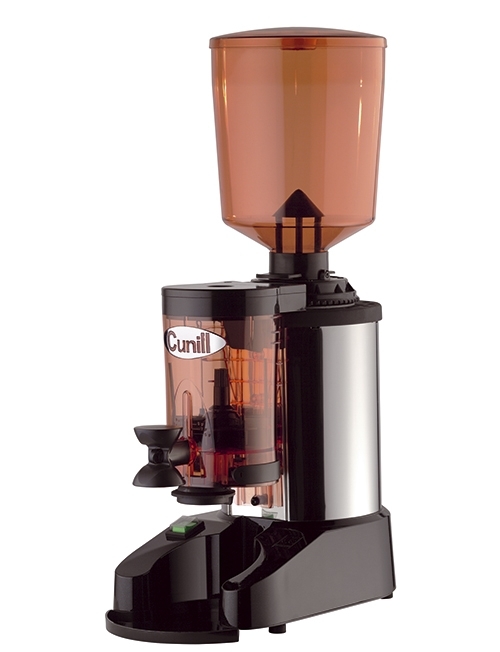 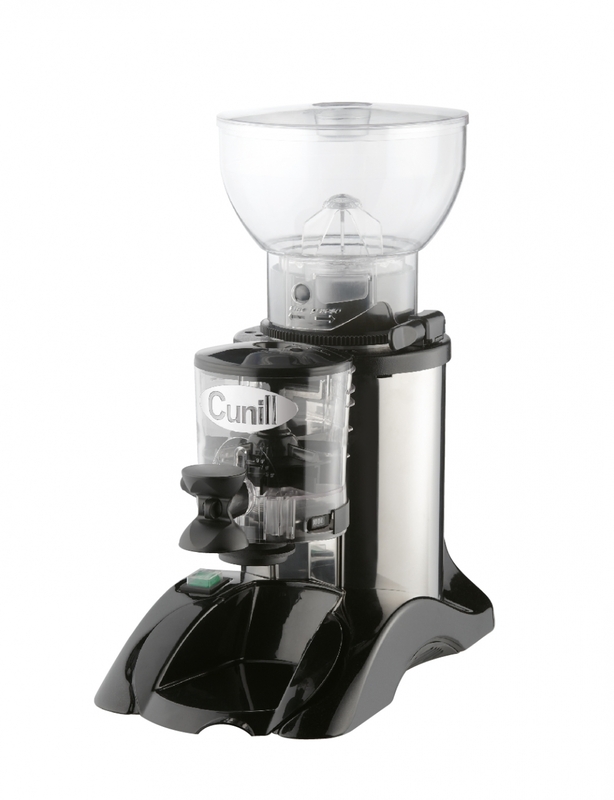 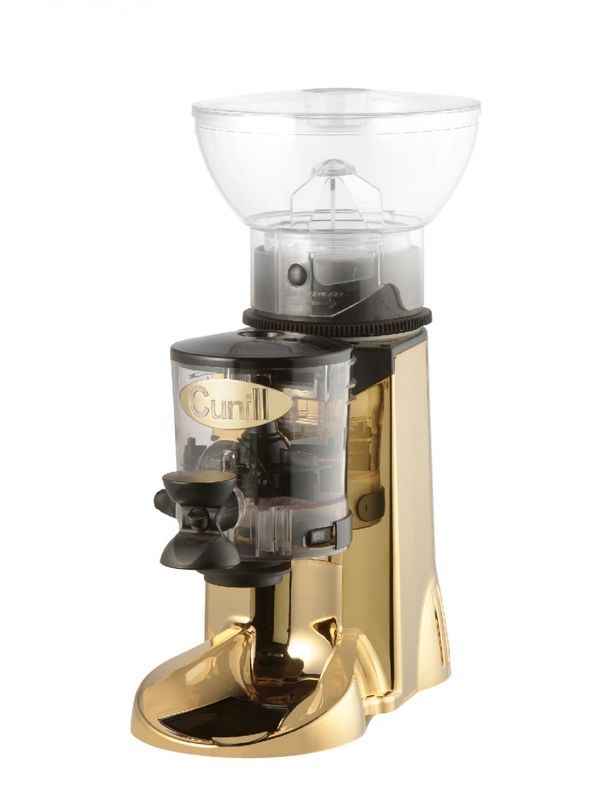 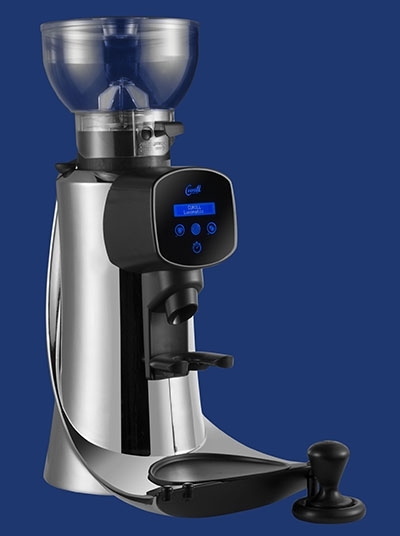 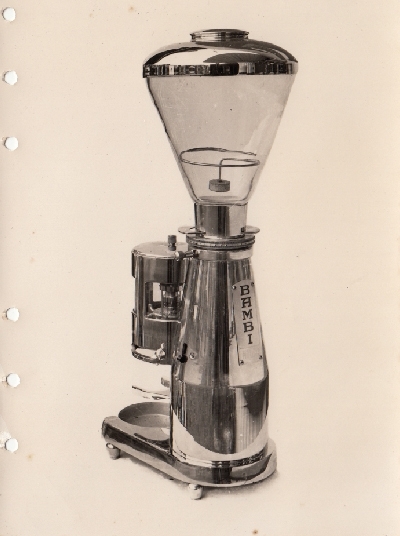 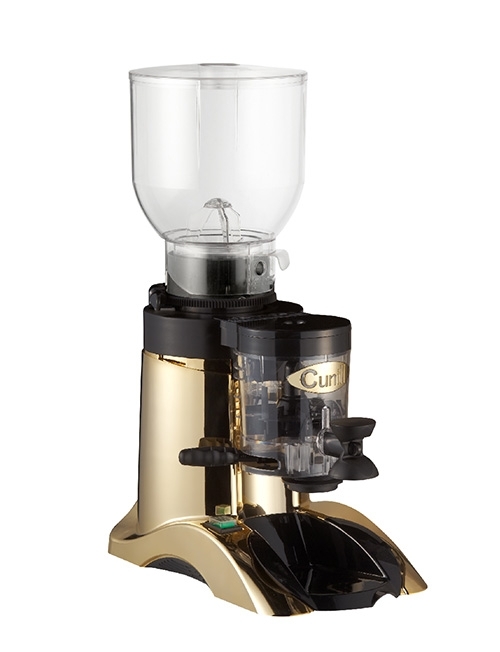 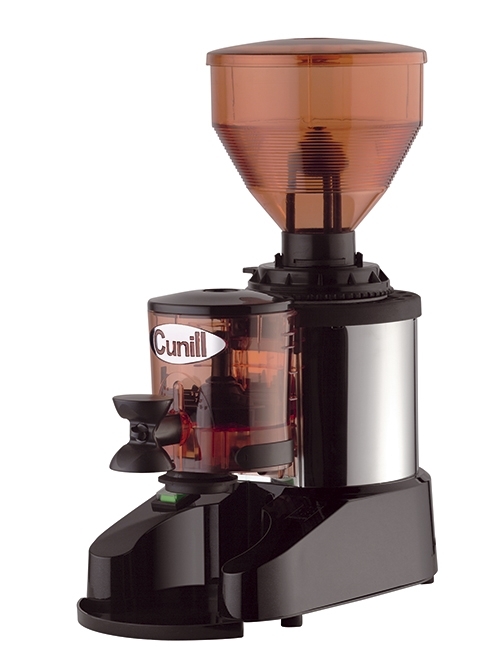 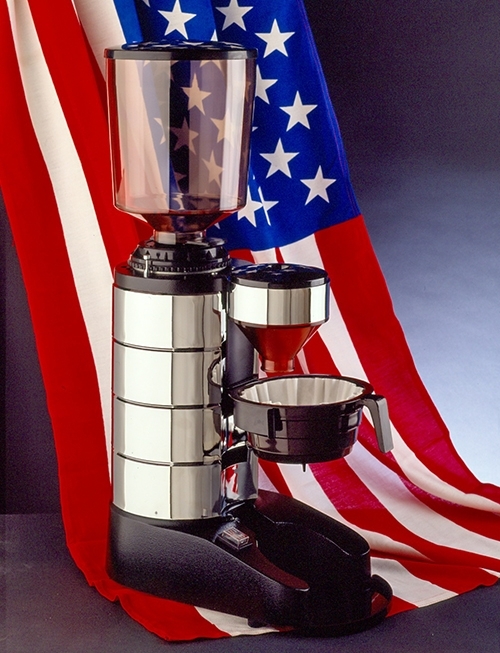 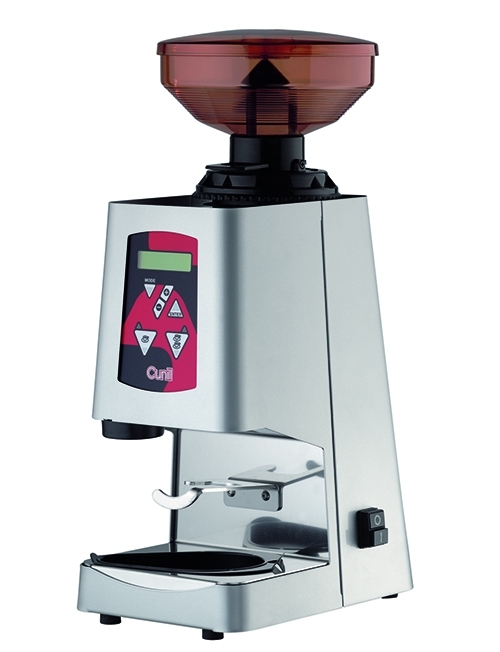 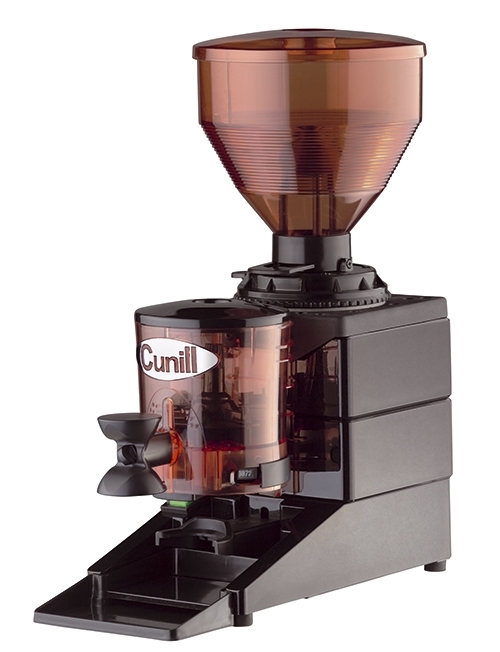 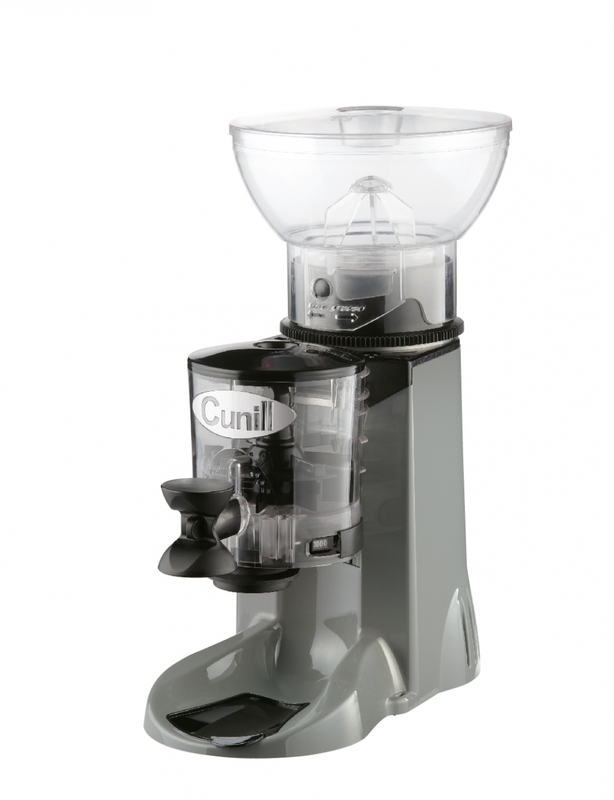 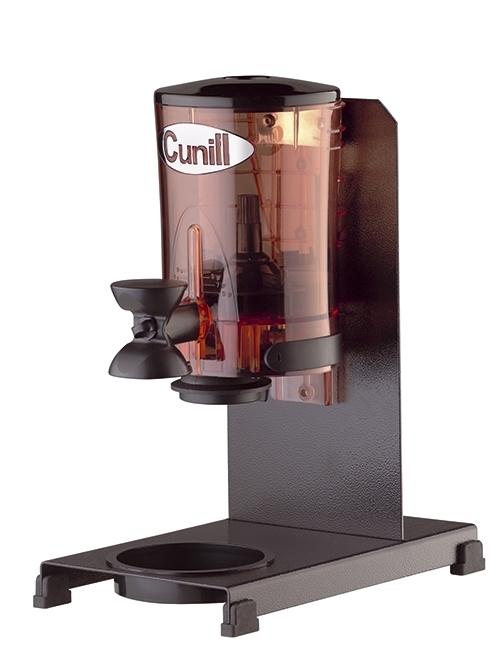 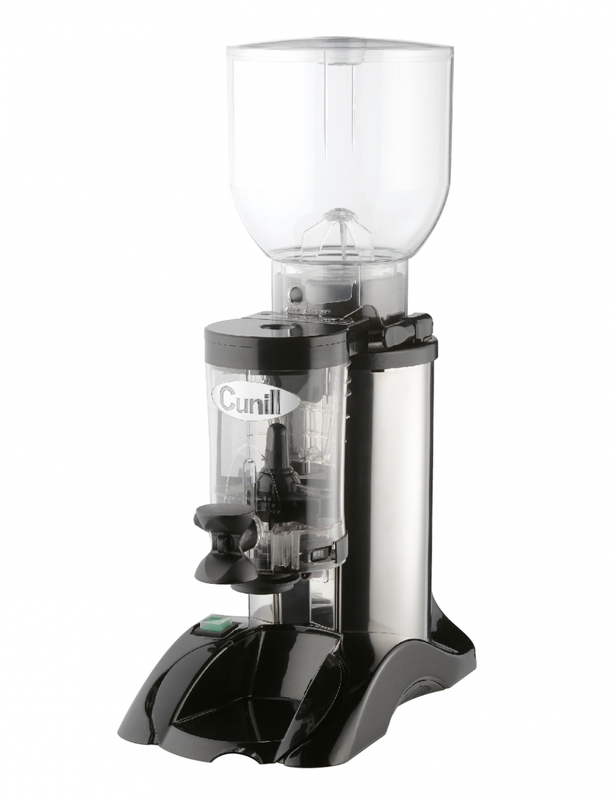 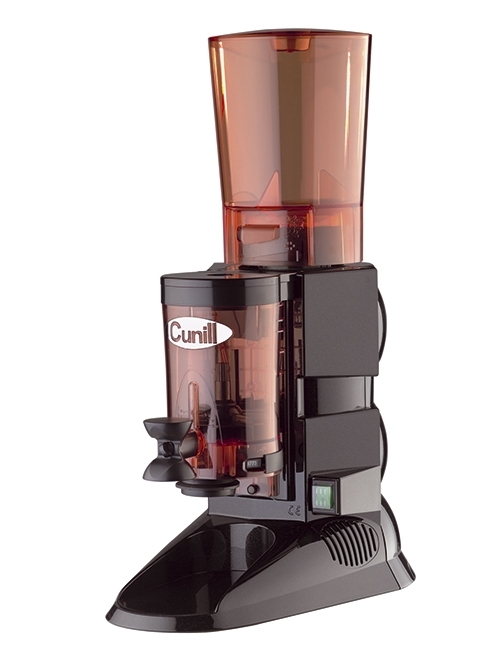 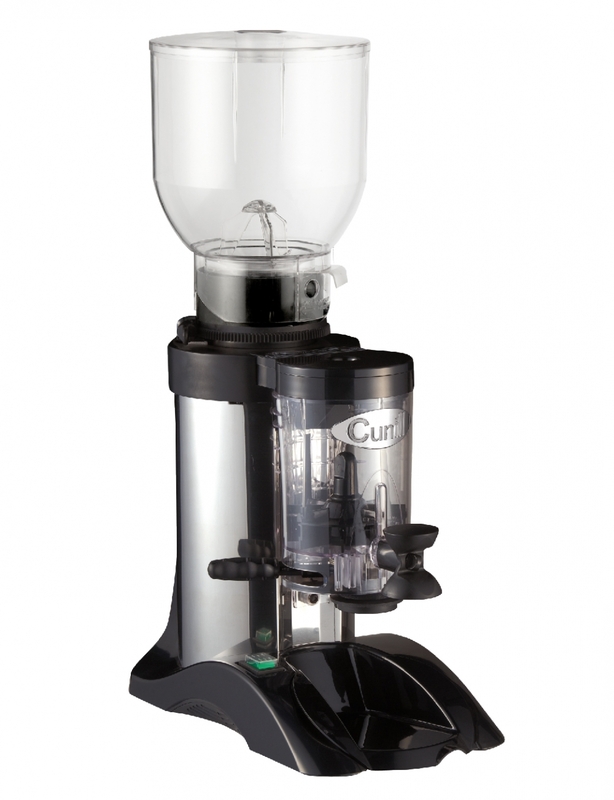 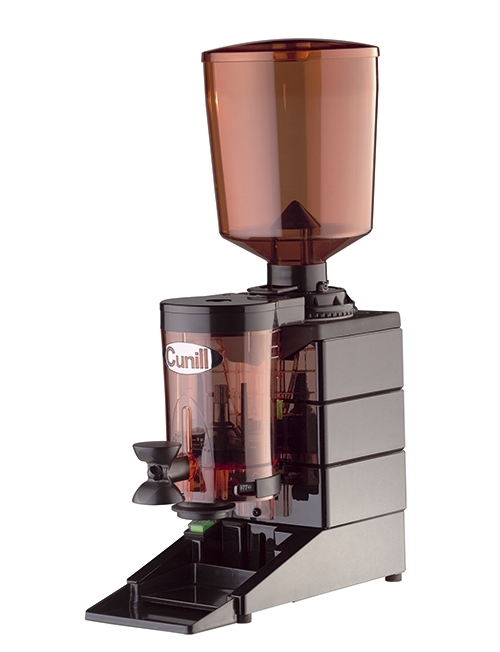 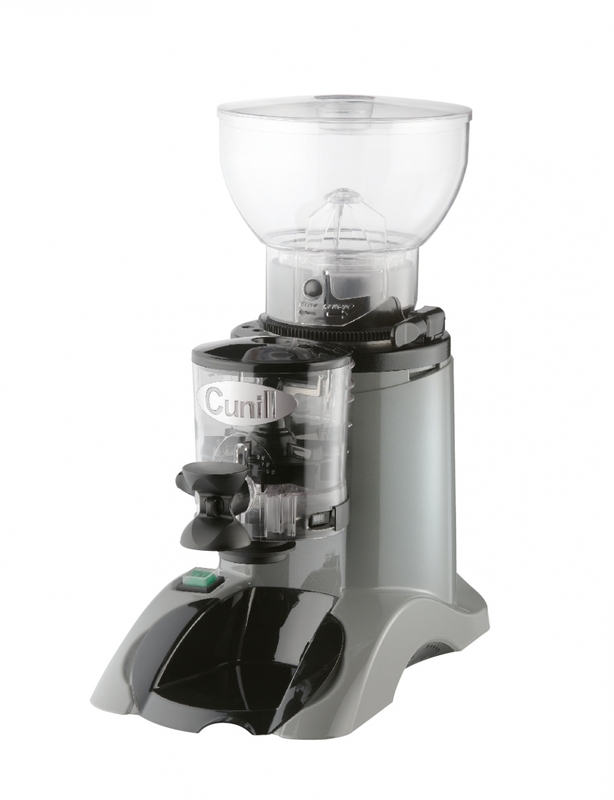 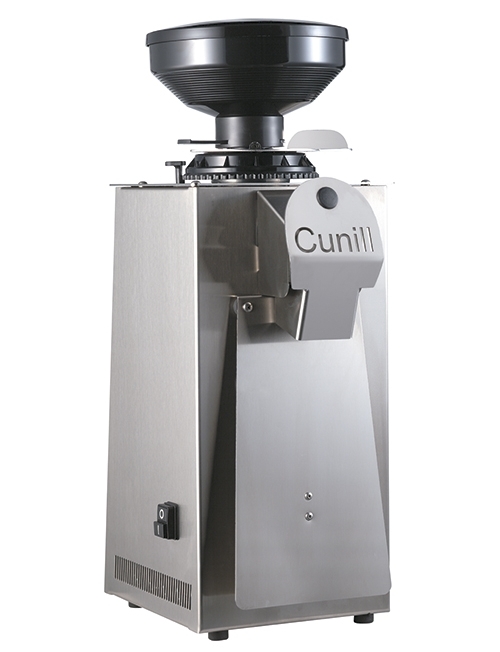 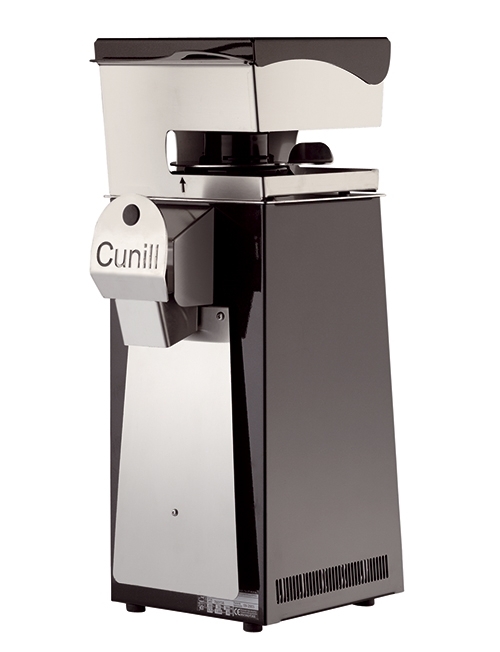 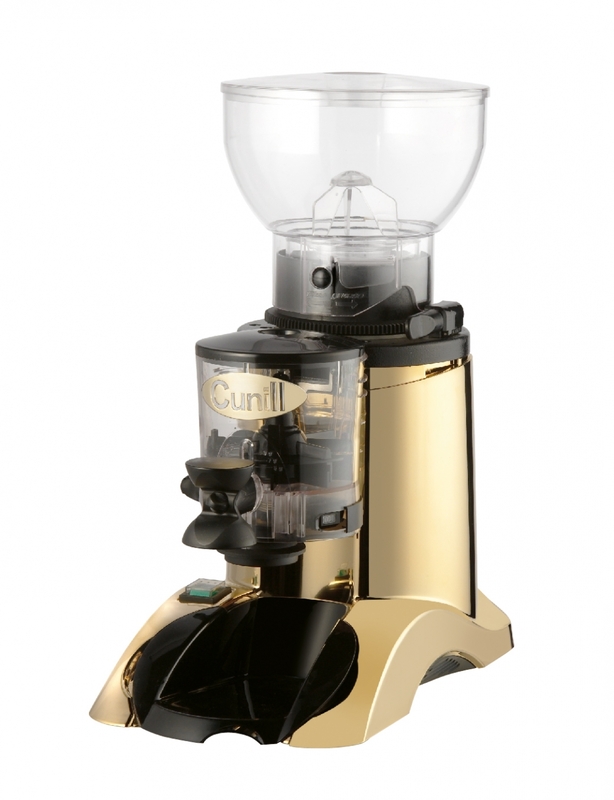 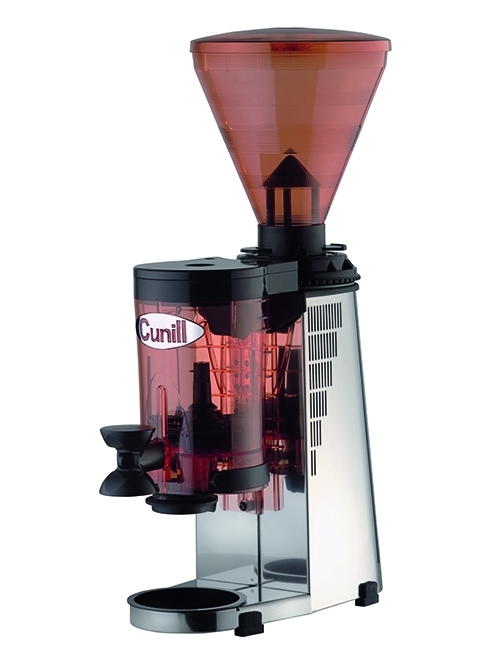 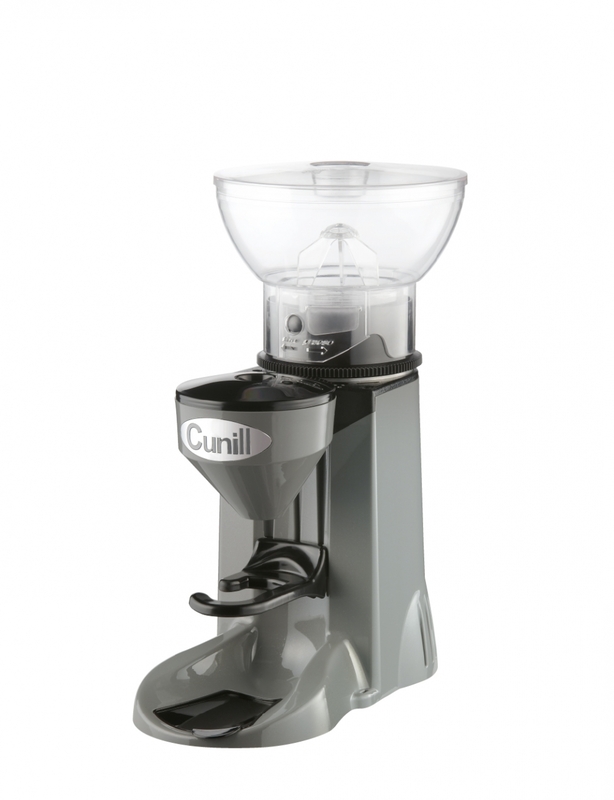 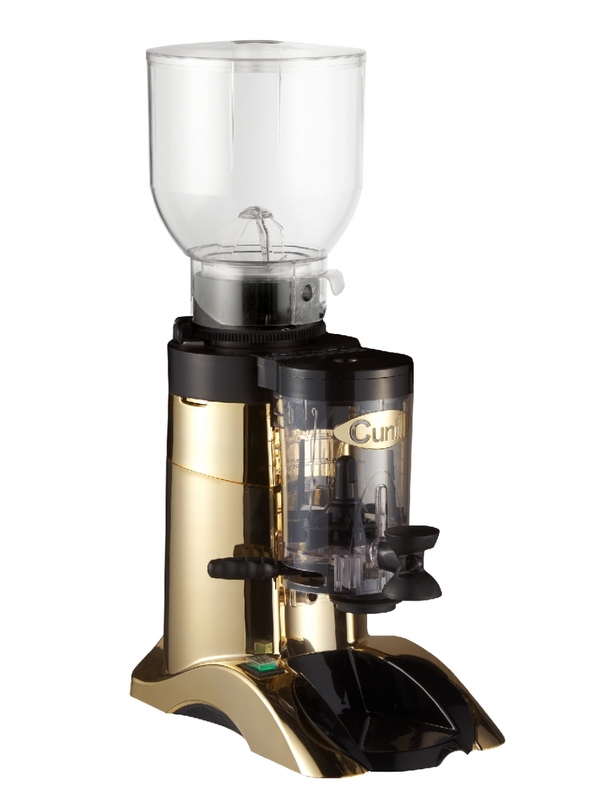 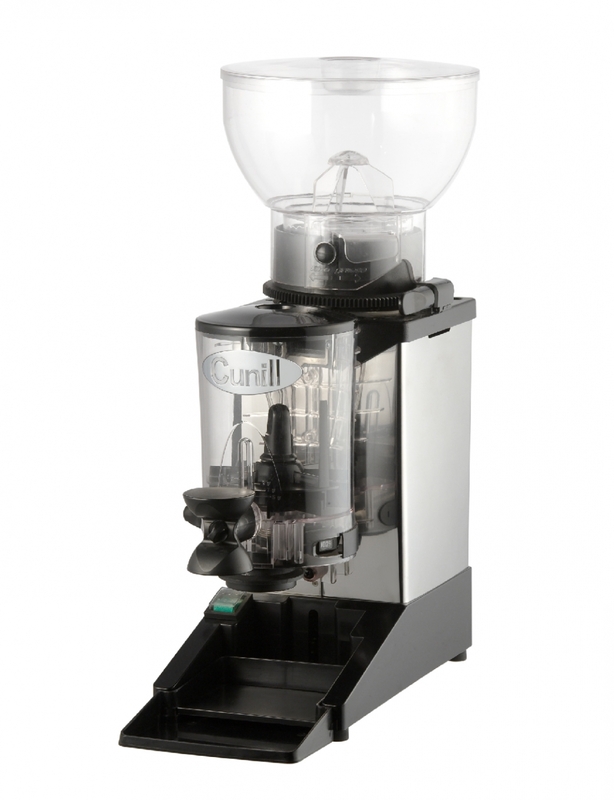 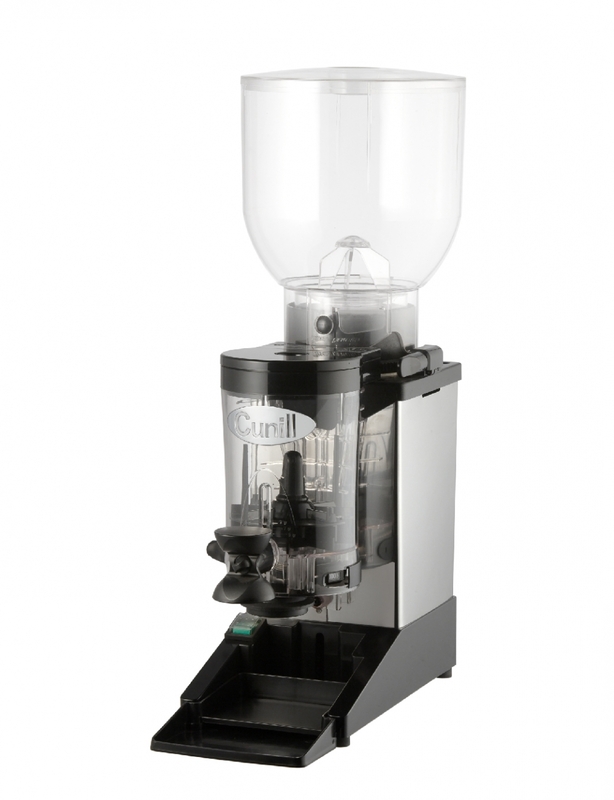 Since 1957, Cunill has worked hard to innovate and offer the market a host of innovations that have improved the grinding system in order to create the best cup of coffee. 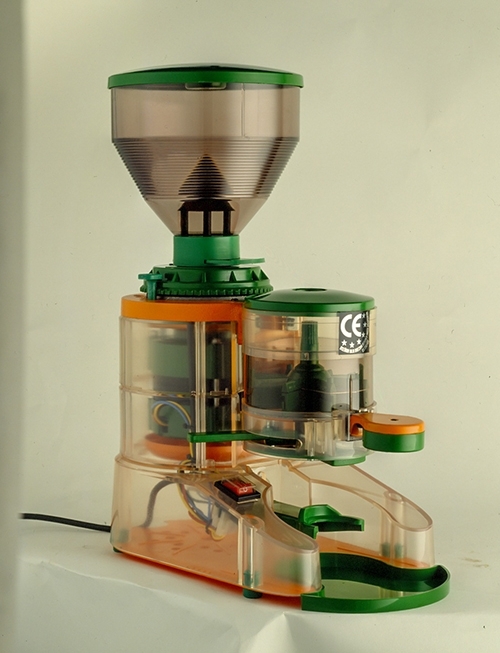 The Molibar mill is a handiwork, fully hand-molded, sand casting and equipped with doser and glass hopper. 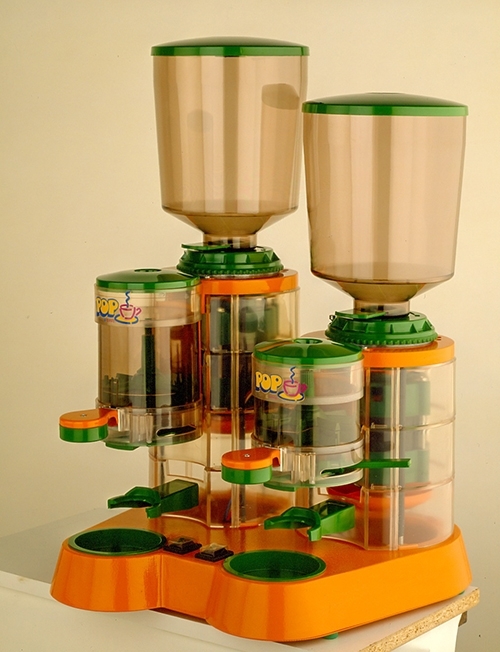 The doser Dosibar goes on the same way as its predecessor Molibar. 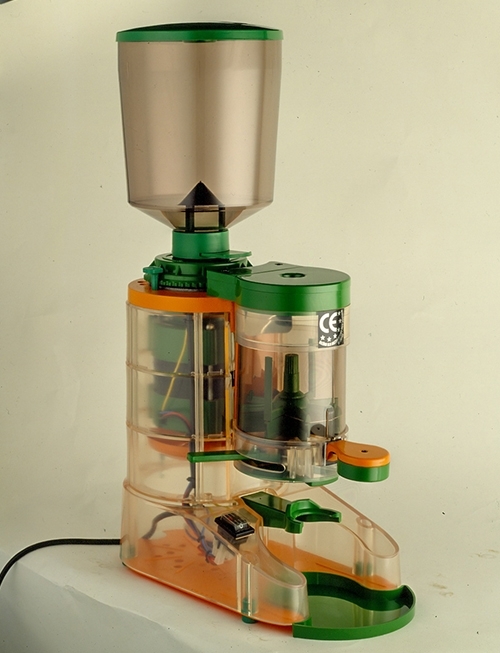 Fully hand-molded, sand casting and equipped with doser and glass hopper. 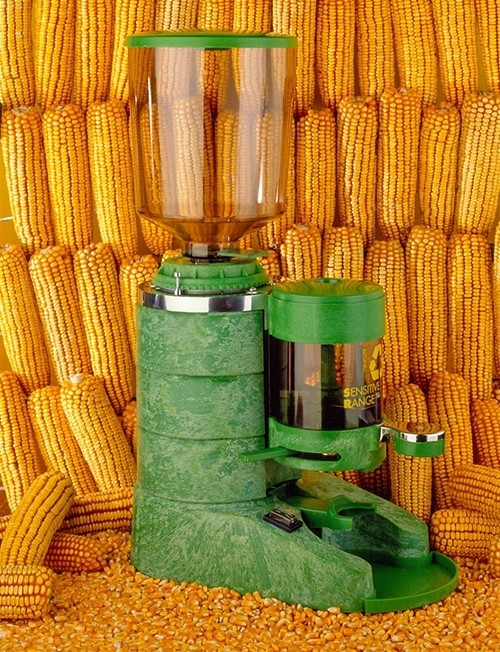 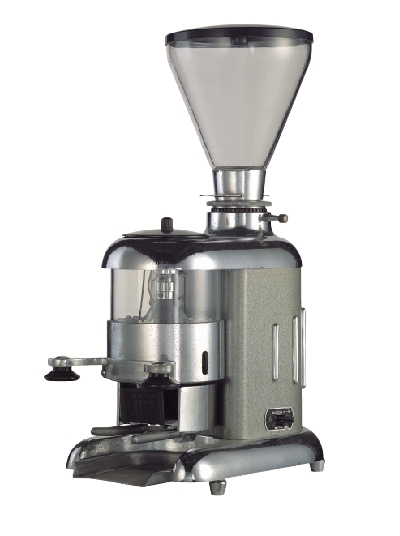 A completely handmade historic mill with compact all-aluminium body, glass hopper and glass dispenser. 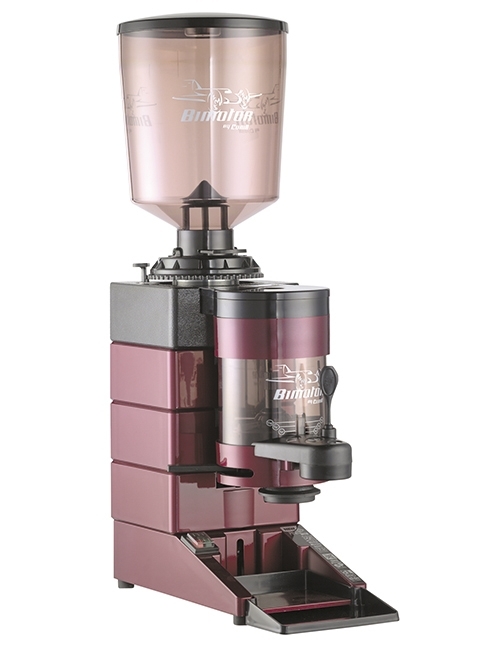 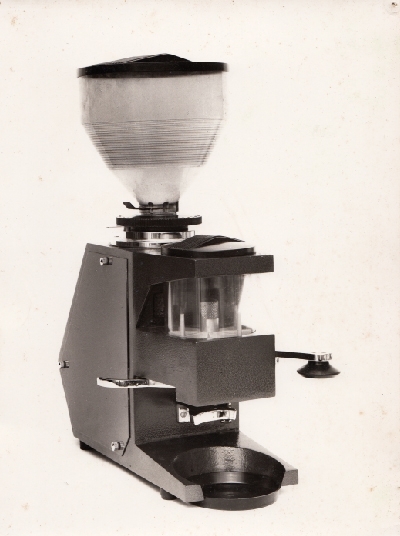 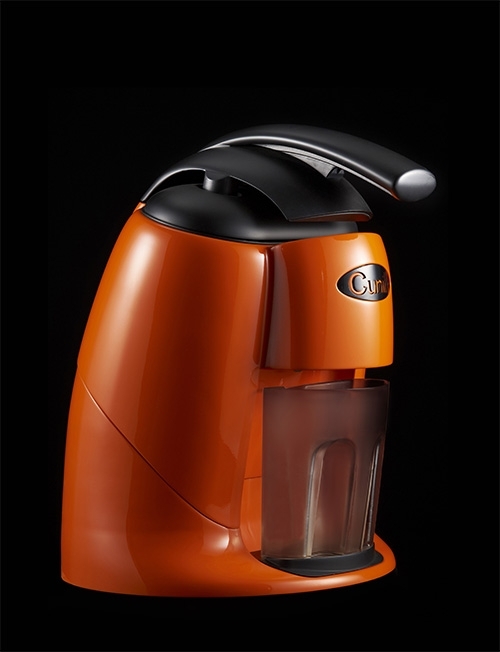 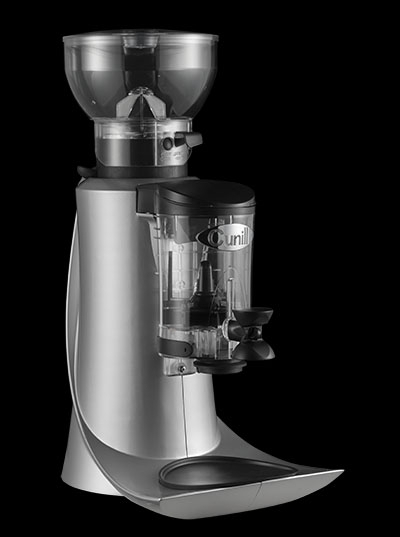 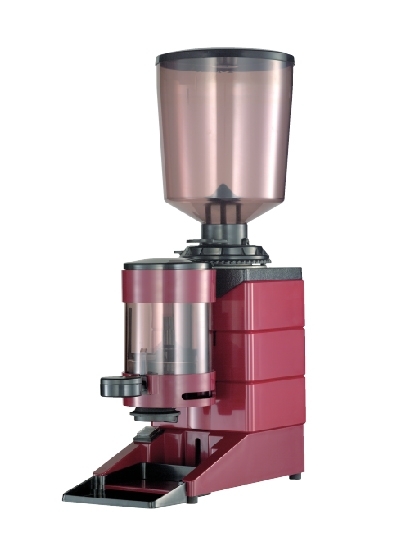 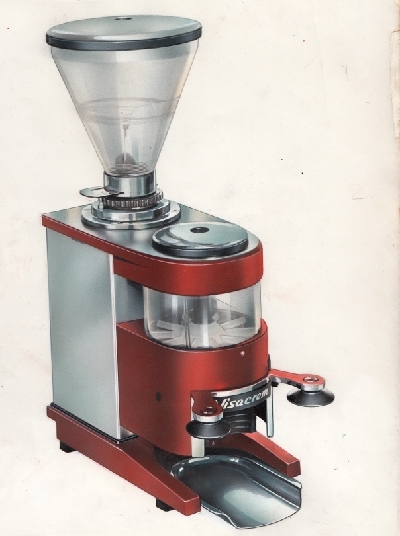 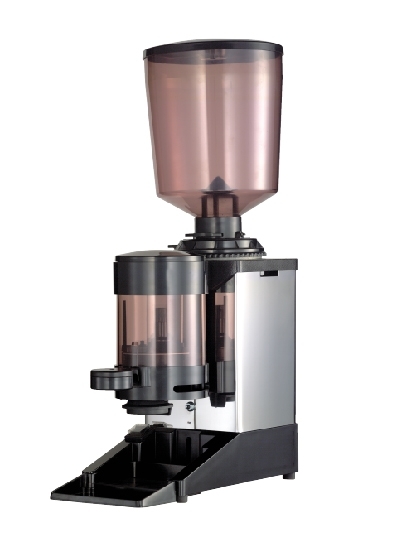 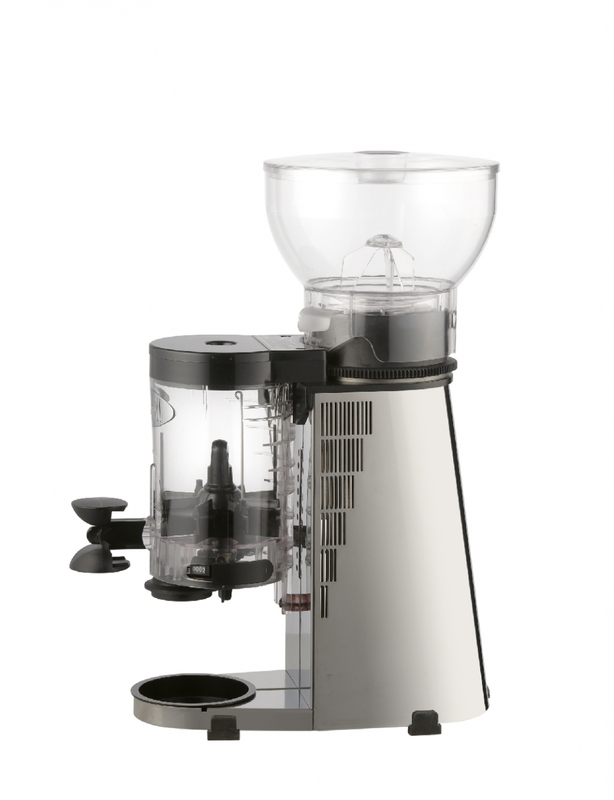 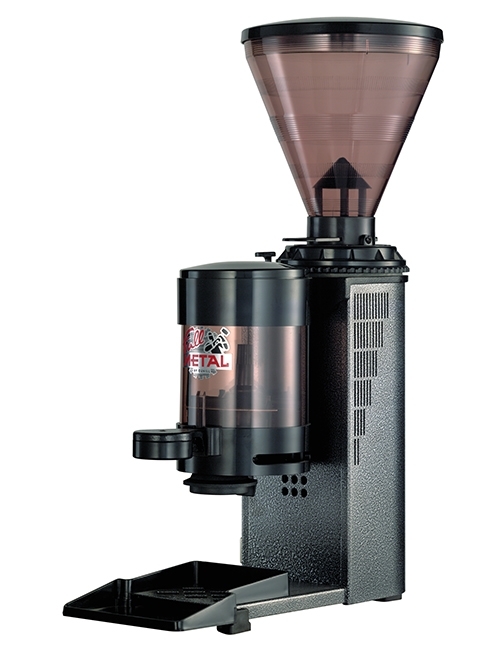 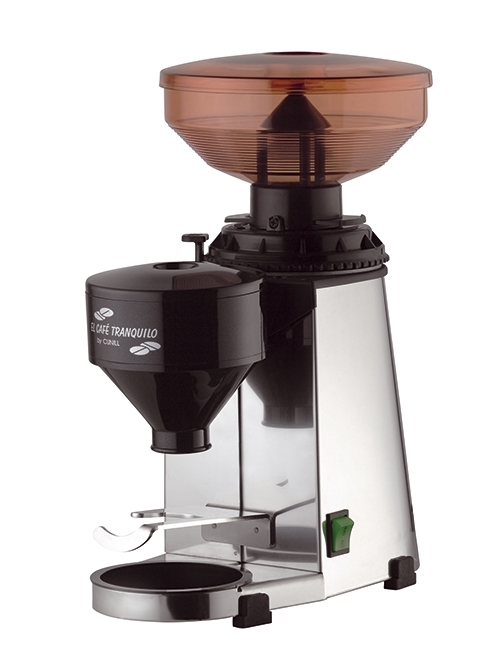 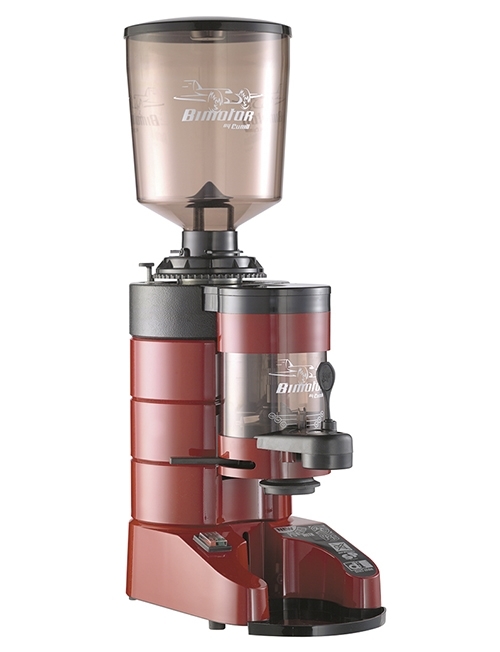 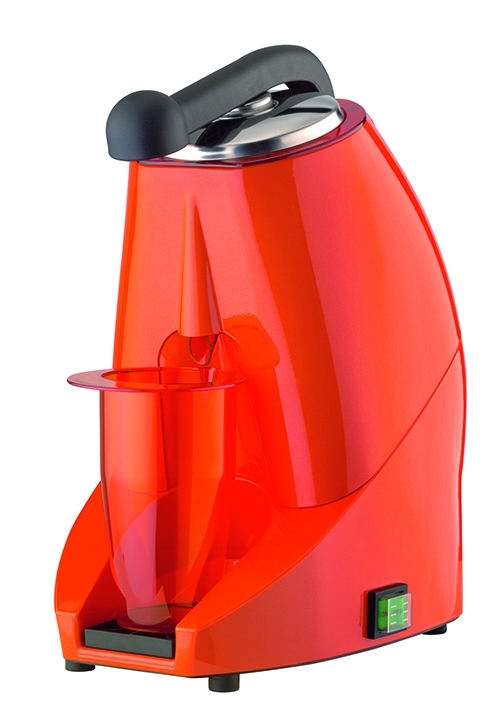 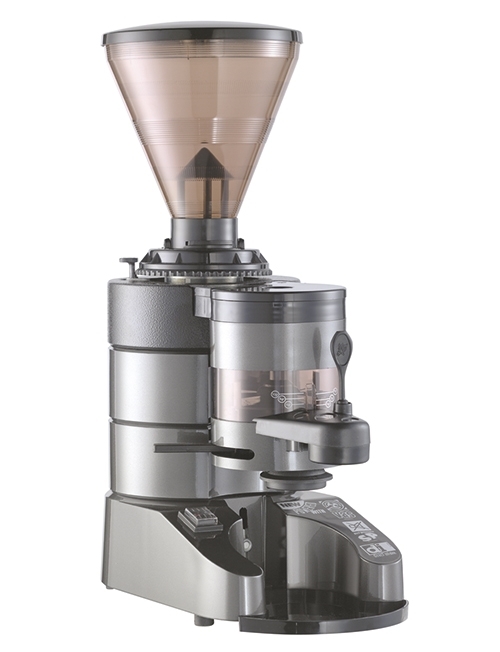 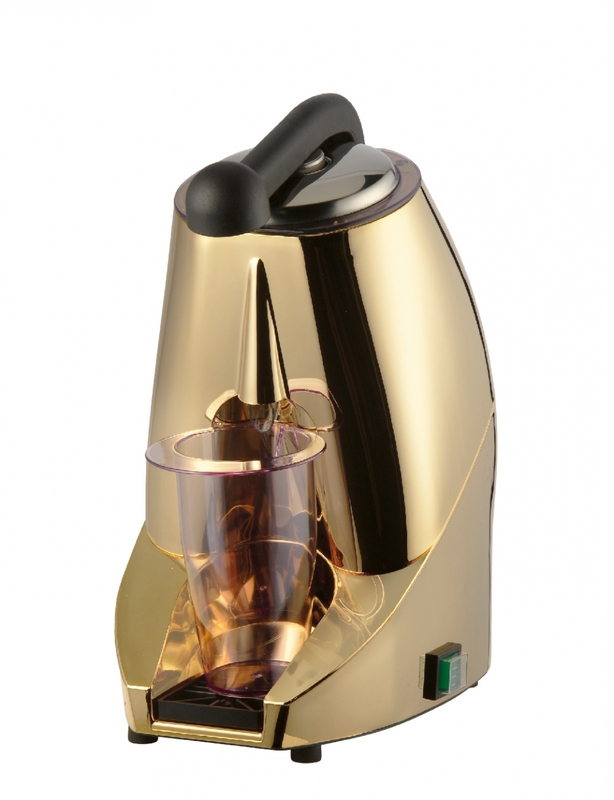 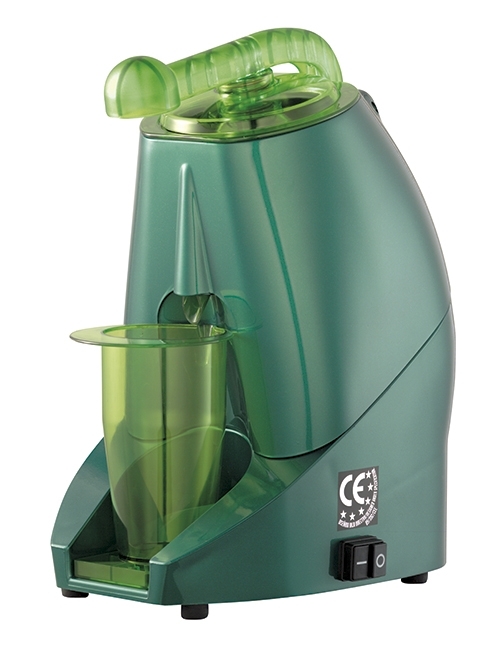 A mill with integrated doser in all-aluminium body, hopper and glass dispenser. 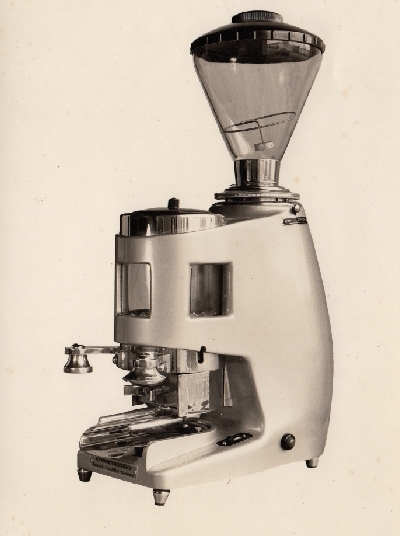 1967 | Mod. 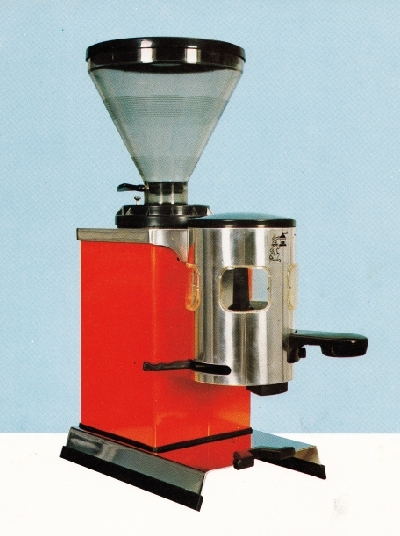 VISACREM EXPO. 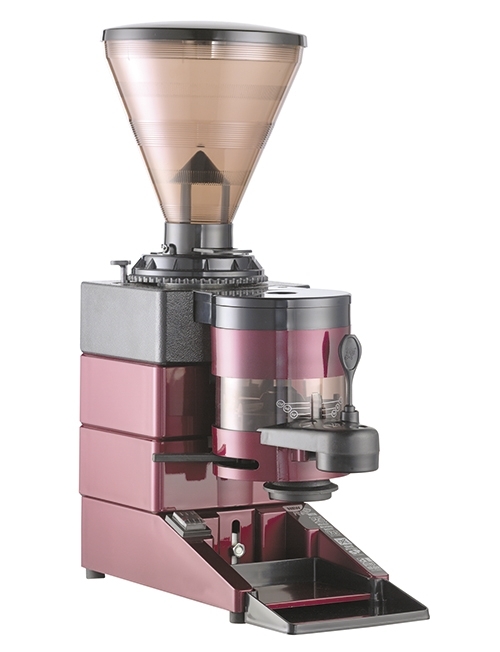 Round shapes mill with compact bodywork that integrates the doser inside with its characteristics windows. 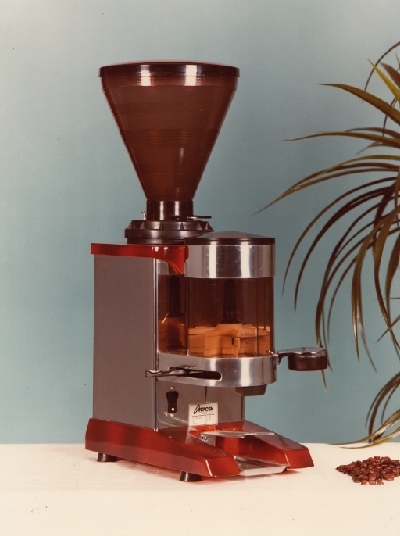 More stylised mill with the doser outside the body, glass windows and plastic tray. 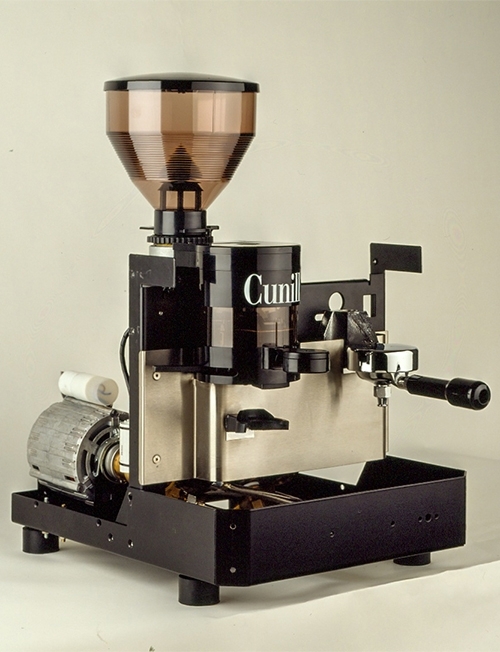 Model entirely designed and manufactured by the workshops Talleres Cunill with cubic lines and the characteristic cover on the side in order to have access inside of the engine. 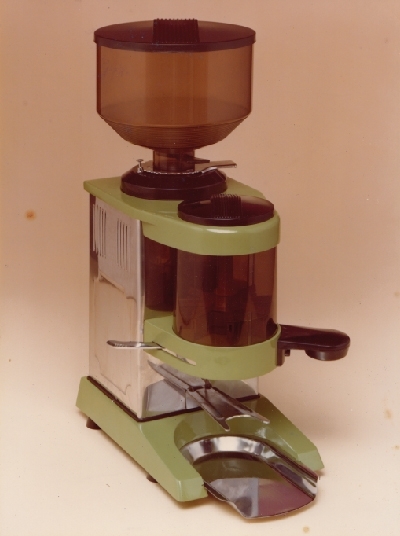 1970 | Mod. 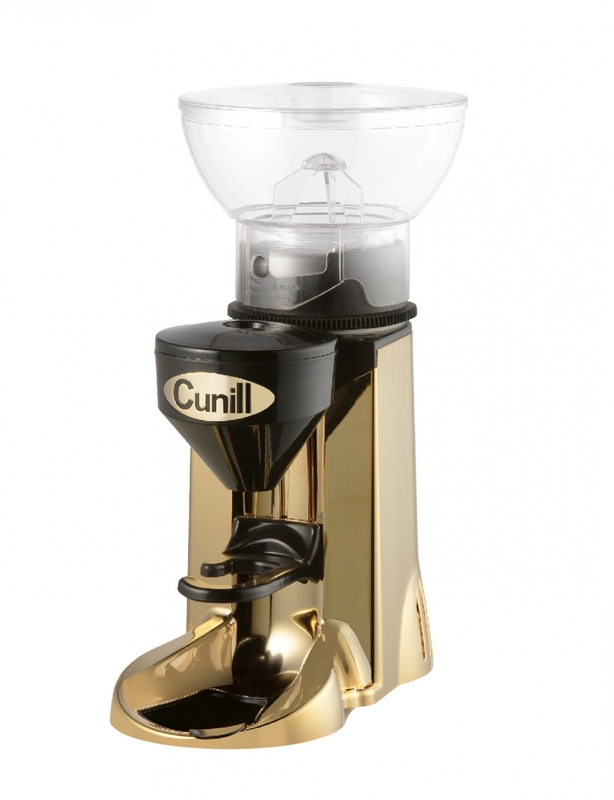 NOBEL AUT. 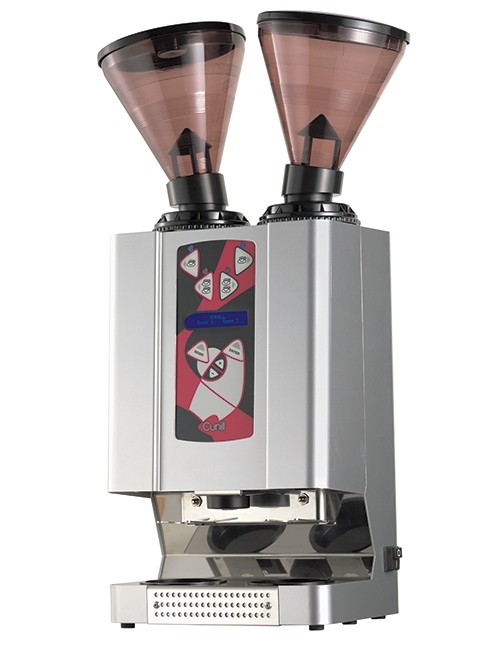 Automatic model manufactured for Gaggia with metal body and aluminium base, integrated doser. 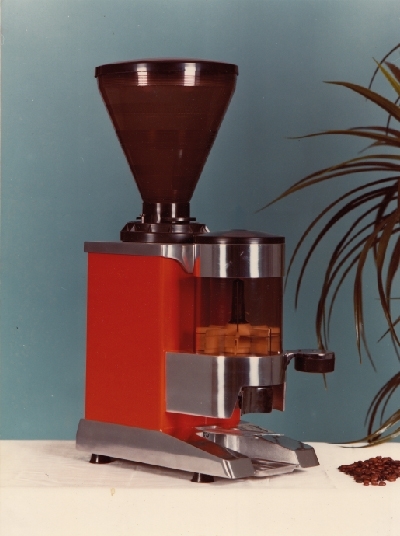 1975 | Mod. 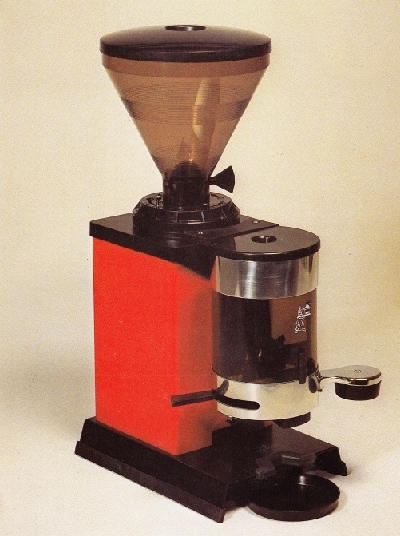 VISACREM 2000 AUT. 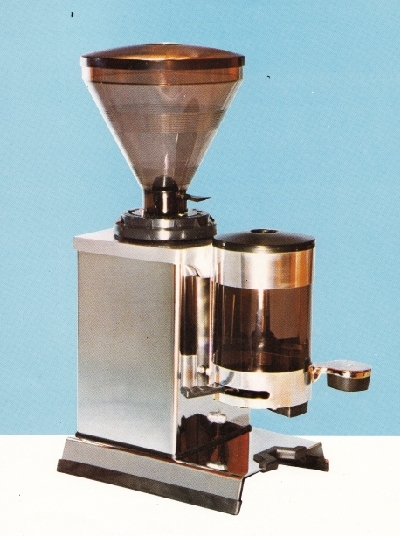 Automatic model manufactured for Visacrem with rounded front and four-part metal body. 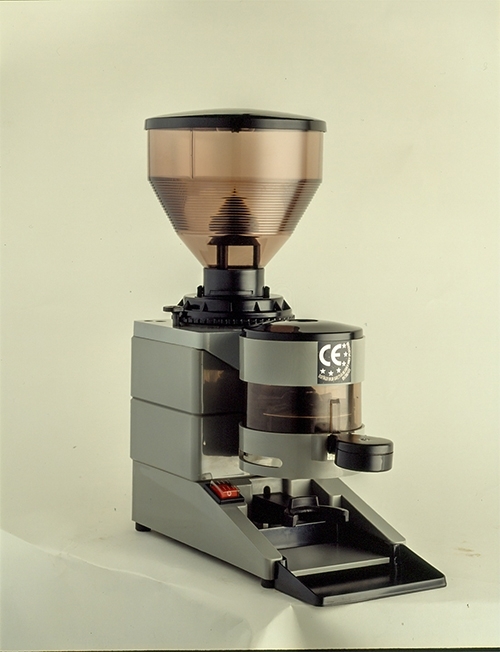 Manual model manufactured for Visacrem with rounded front and four-part metal body. 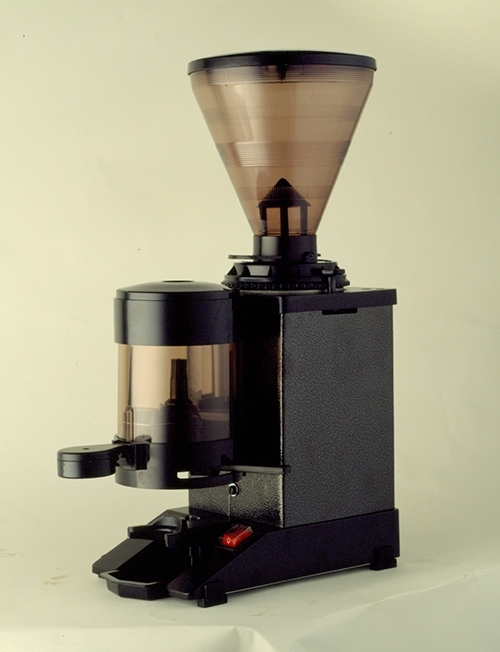 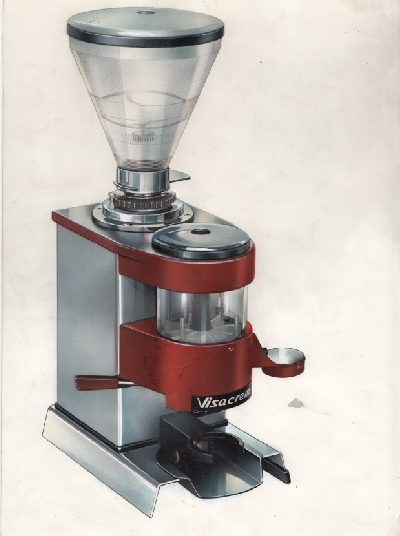 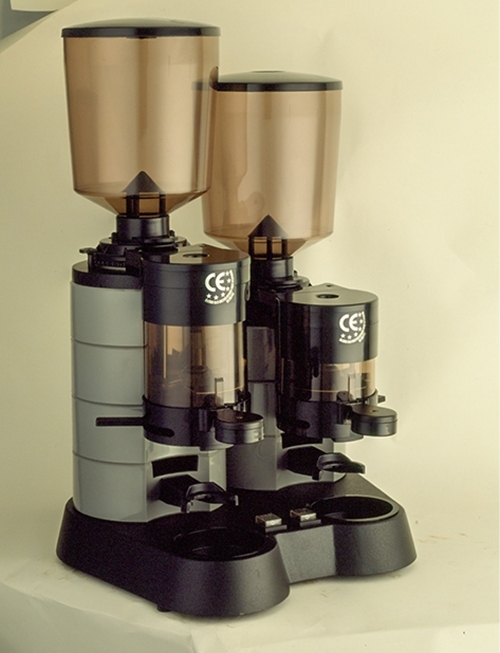 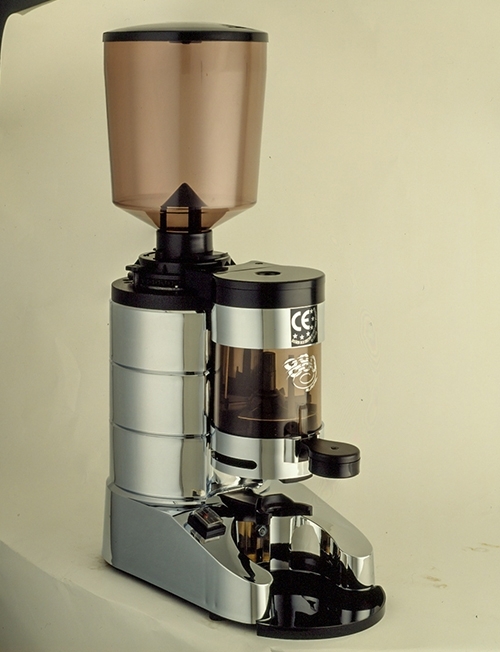 Model made for Visacrem with dark plastic hopper and doser and four-part metal body. 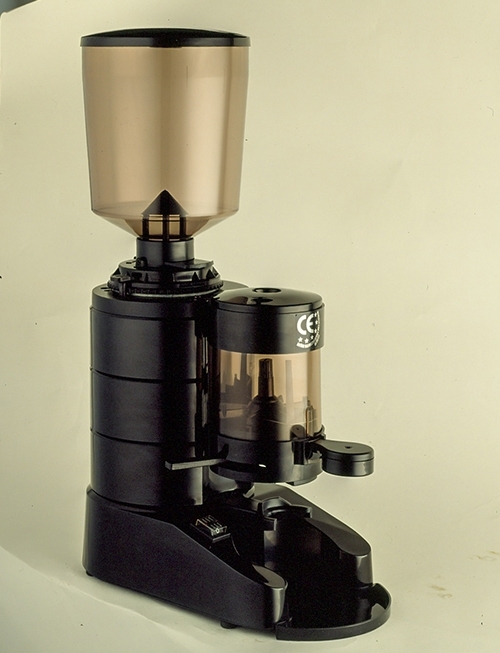 Lever model manufactured for Visacrem with dark plastic hopper and doser stainless steel body. 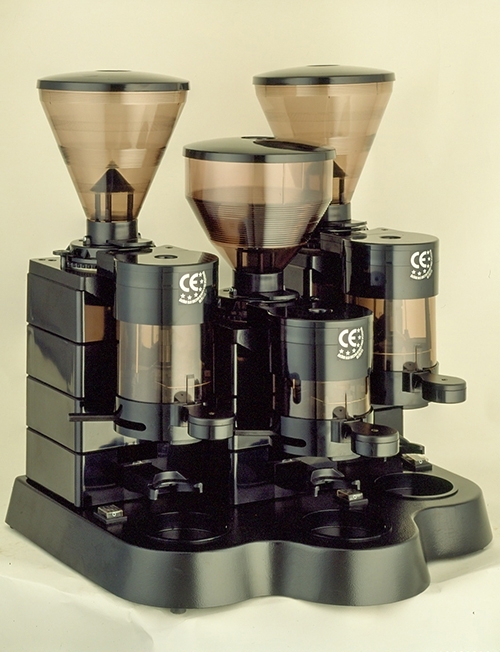 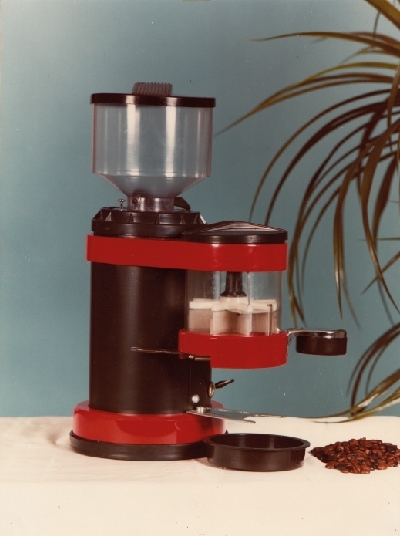 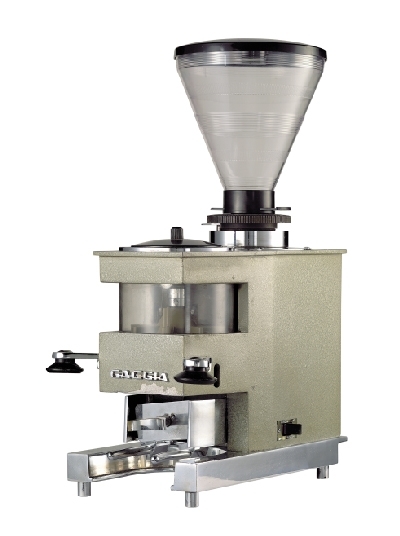 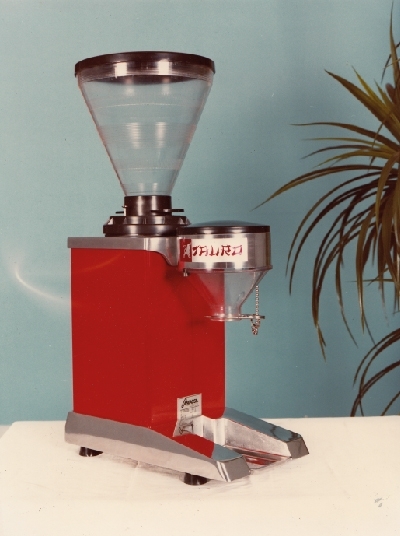 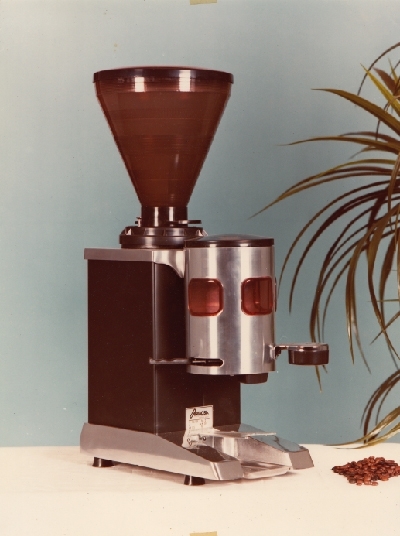 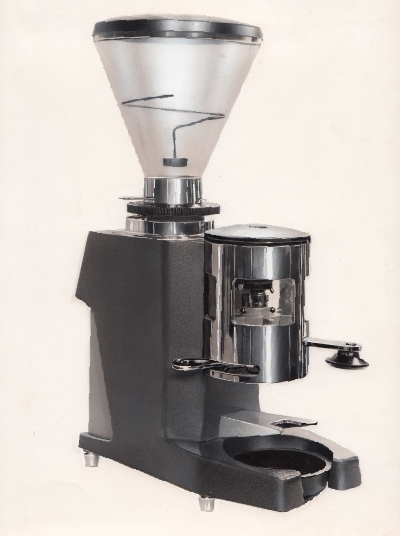 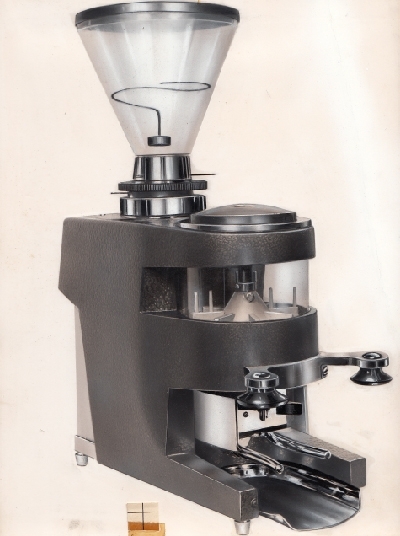 Automatic model manufactured for Visacrem with dark plastic hopper and doser and four-part metal body. 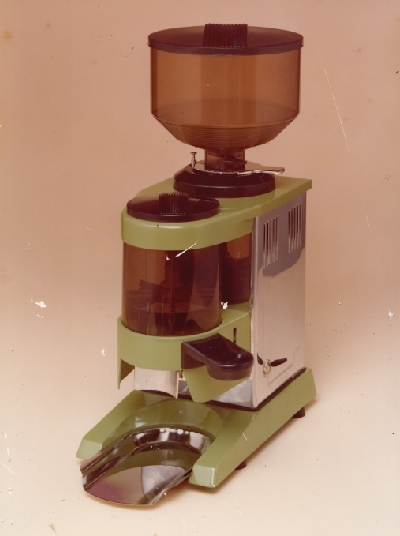 1987 | Mod. 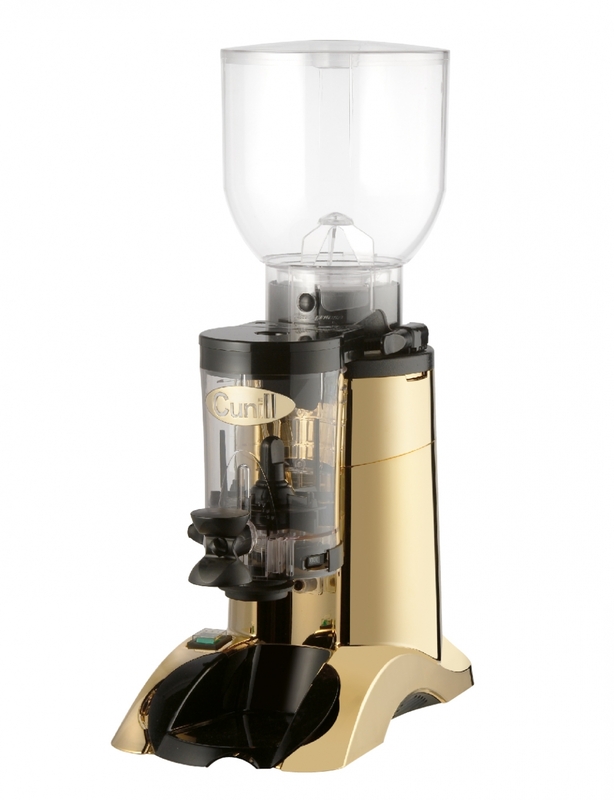 TAURO IV AUT. 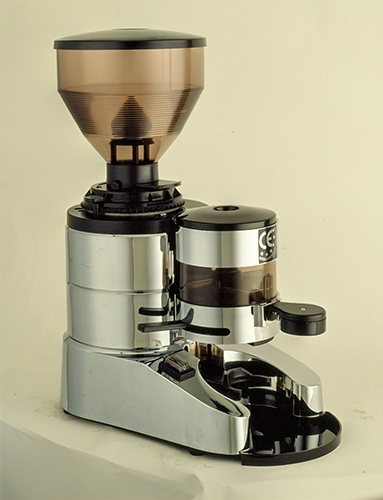 1993 | Mod. 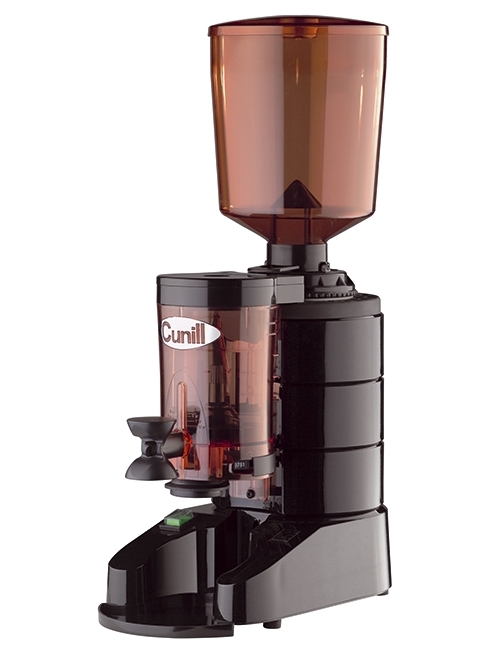 MARFIL AUT. 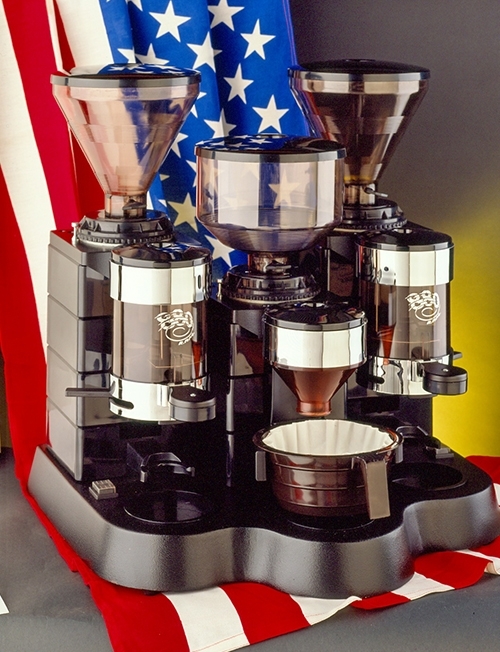 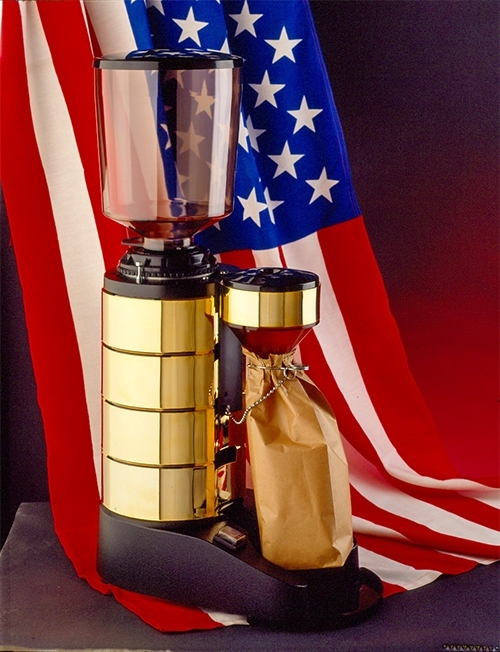 A mill that both serves to fill bags as well as to supply ground coffee to the traditional American coffee makers.